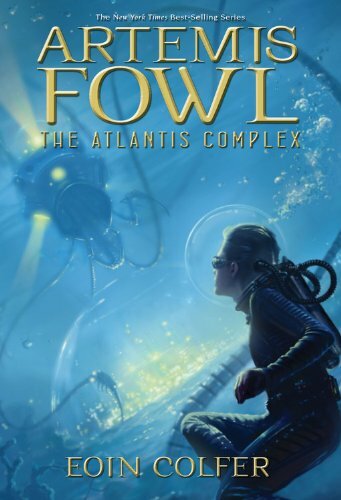 ​ARTEMIS FOWL’S CRIMINAL WAYS HAVE FINALLY GOT THE BETTER OF HIM . . .
Young Artemis has frequently used high-tech fairy magic to mastermind the most devious criminal activity of the new century. Now, at a conference in Iceland, Artemis has gathered the fairies to present his latest idea to save the world from global warming. But Artemis is behaving strangely - he seems different. Something terrible has happened to him . 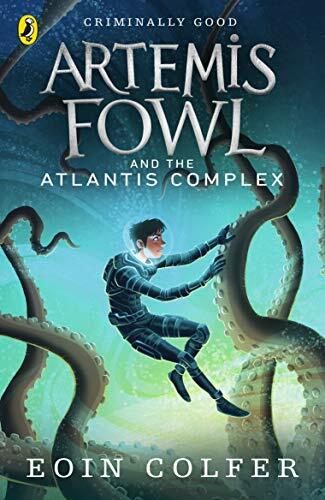 . . Artemis Fowl has become nice. The fairies diagnose Atlantis Complex (that’s obsessive compulsive disorder to you and I) - it seems dabbling in magic has damaged Artemis’ main weapon: his mind. Fairy ally Captain Holly Short doesn’t know what to do. The subterranean volcanoes are under attack from vicious robots and Artemis cannot fight them. Can Holly get the real Artemis back before the robot probes destroy every human and life form? This eagerly-awaited adventure is now out in paberback with a fabulous new cover-look to celebrate ten years of Artemis action.